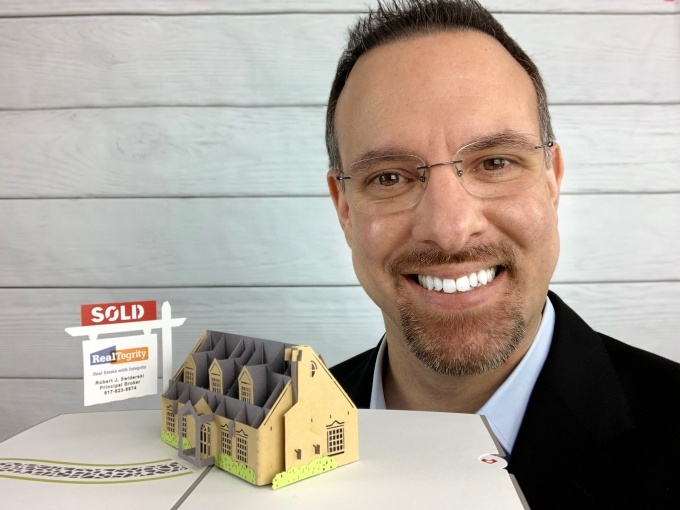 Robert Swiderski, a Sunnyside real estate veteran who opened an office at 43-07 Greenpoint Ave. in 2017, has started to build an online following with his own vlog, which he has been regularly promoting on Facebook and YouTube since its launch. “The RealTegrity Show,” which is named after his real estate office “RealTegrity,” premiered on YouTube and Facebook on Sept. 5 and to date more than 15 episodes have been released, averaging about one episode every two weeks. The episodes often feature Swiderski speaking on different subjects related to buying or selling real estate in Queens. One recent episode deals with Amazon’s announcement to build its second headquarters in Long Island City and the impact it might have on the local real estate market. Another episode profiles Better Line Hardware, a Sunnyside business that was destroyed by the massive fire in December that has reopened. Swiderski says he will be expanding his show to include profiles of local business owners. These episodes will feature the different products and services that each establishment offers. In the past, he noted that he left the corporate real estate industry after working at Corcoran Group, Douglas Elliman Property Management and First Service Residential, in part because he felt too much pressure to put the needs of the company ahead of the needs of his clients. Although tying this virtue into his YouTube show is a recent idea, looking to help local businesses is not new for Swiderski, who sits on the board of directors for the Sunnyside Shines Business Improvement District as a (business owner) member. Swiderski’s primary passion of helping people buy and sell homes still remains, having recently sold a Celtic Park co-op unit for a record price of $775,000. He said he’s also moved into property management arena and has grown his commercial real estate portfolio, with an exclusive Long Island City listing for a 15-unit building that is priced at $7 million. Readers can subscribe for free on YouTube to see new episodes of The RealTegrity Show, where they can also view all his past episodes. Facebook users can also follow new episodes as they are shared on RealTegrity’s Facebook page, found here. The post Local Realtor’s Online Show Provides Viewers with Market Updates, Advice and Community Profiles appeared first on Sunnyside Post.